The Garda Vetting Unit are not currently required to seek information from police outside the State about people who have lived abroad. 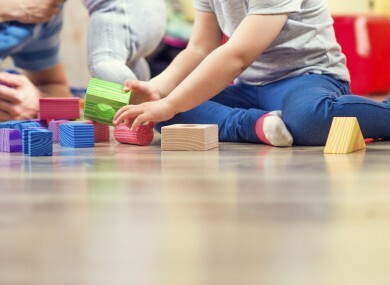 A NEW REPORT issuing recommendations has made a number of recommendations about how to best improve conditions for children in Ireland. The document, published annually and written by the Special Rapporteur on child protection Geoffrey Shannon, will be used by the government to inform its policy making around child welfare and protection. Included is a recommendation that a loophole that allows unvetted staff to work with children in Ireland should be closed. Currently, there is no obligation on the Garda Vetting Unit to seek information from police outside of the State about a person who has lived abroad – meaning that it is not guaranteed a person hasn’t committed an offence against a child in a different jurisdiction. Ensuring a person working with children has not committed an offence against a child is a basic child protection measure. Yet, at present, someone who wishes to prey on children could easily travel to Ireland to exploit this loophole. A number of other recommendations on improving child protection are included in the reported. These range from guidelines around assisting children through a marital breakdown to tightening up legislation around child prostitution and trafficking. In his summary, the Special Rapporteur explains that areas that had been of concern were the marginalisation of young carers and further protections being introduced as part of the Criminal Law (Sexual Offences) Bill 2014. He also highlighted the need for asylum proceedings to be improved, as it is often children who are impacted by a protracted process. Email “Loophole in vetting procedure leaves Irish children open to predators ”. Feedback on “Loophole in vetting procedure leaves Irish children open to predators ”.